Dover White, a Sherwin Williams shade, is a super popular creamy white. 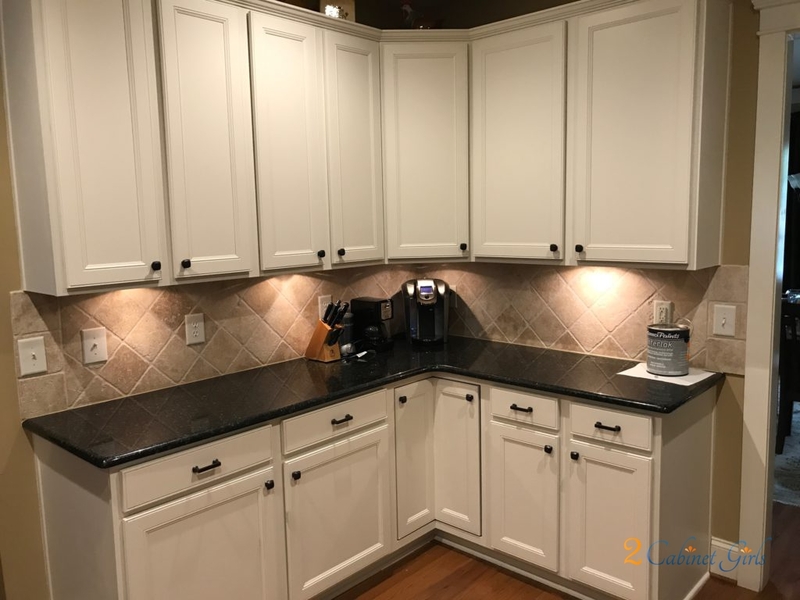 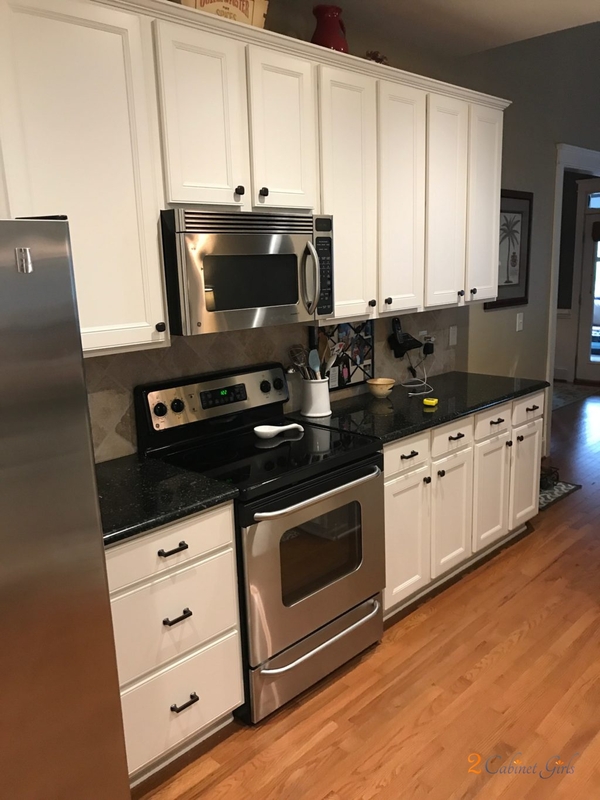 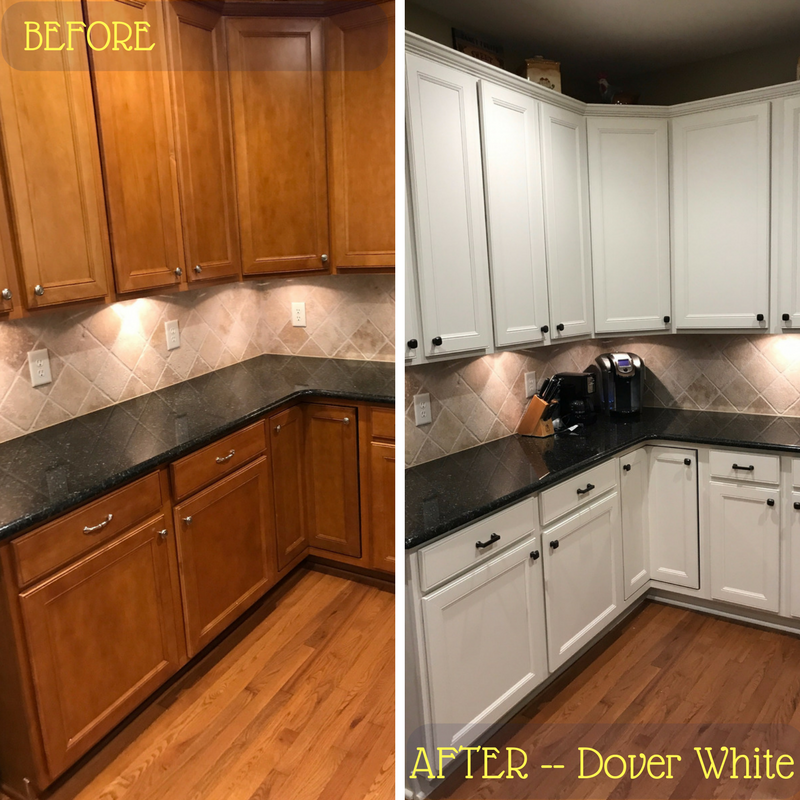 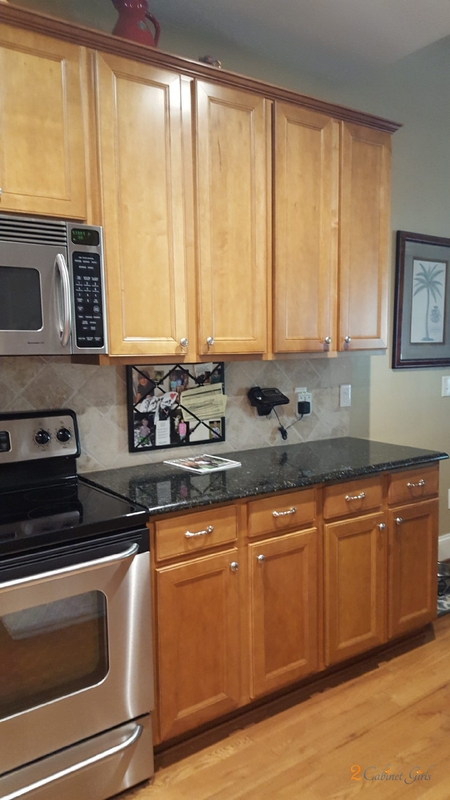 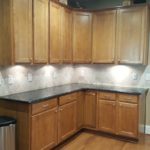 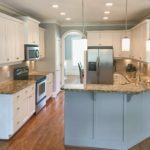 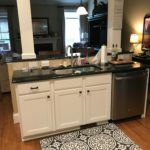 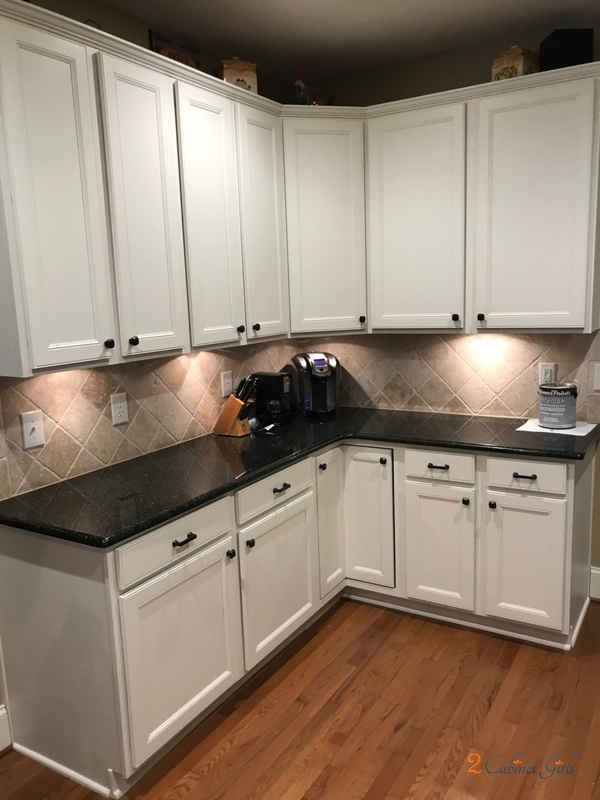 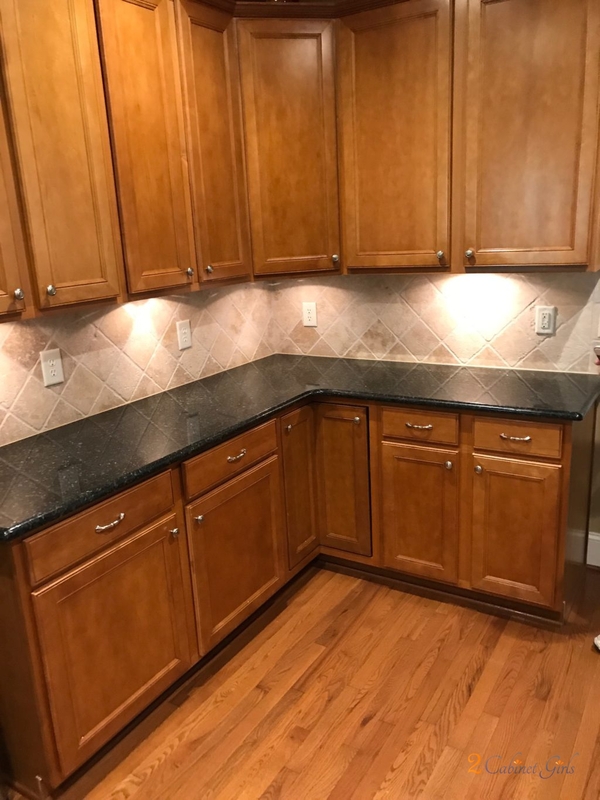 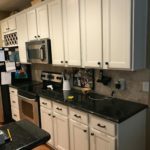 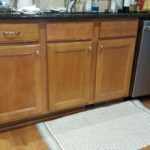 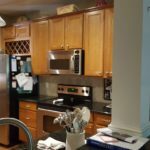 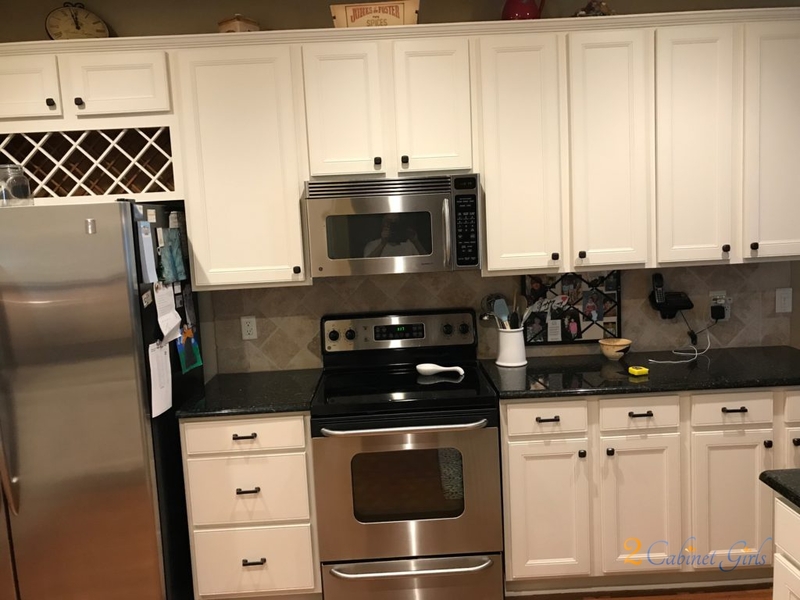 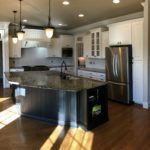 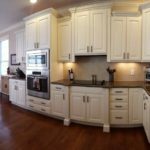 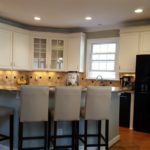 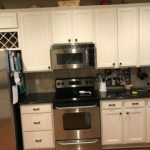 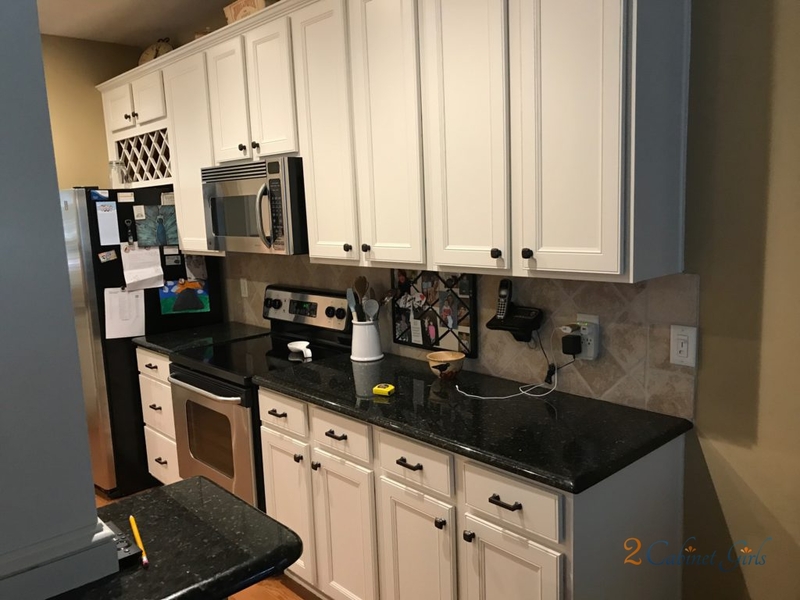 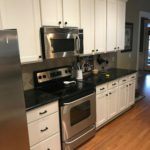 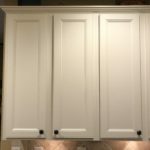 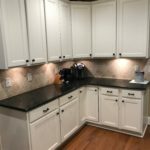 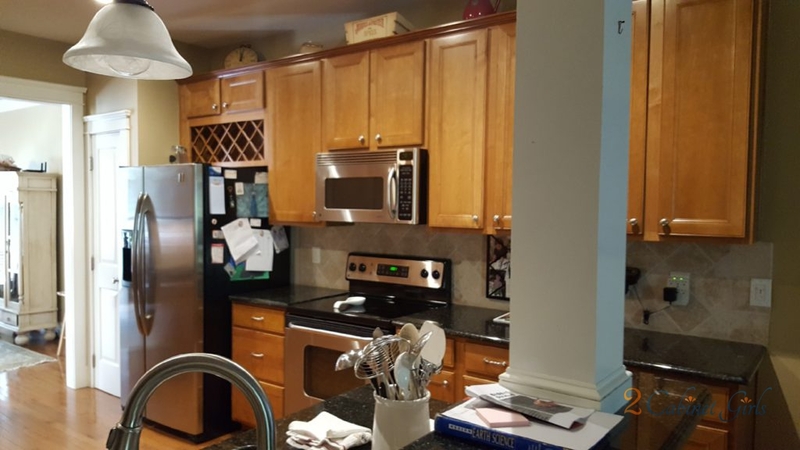 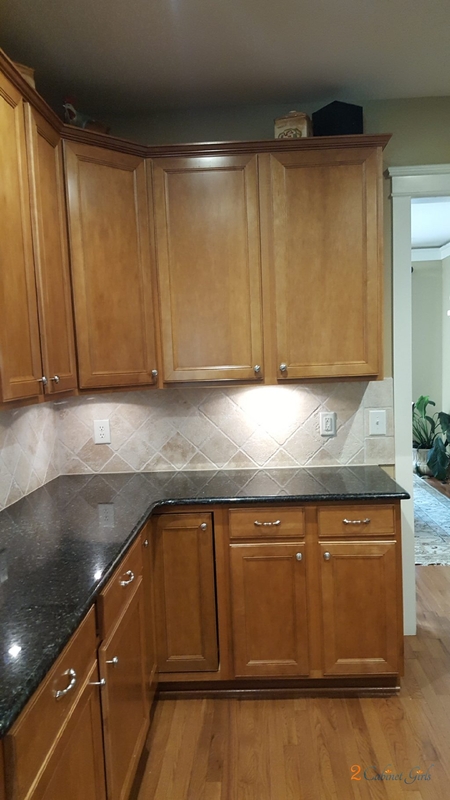 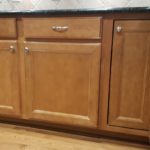 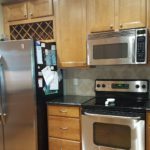 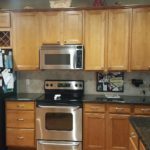 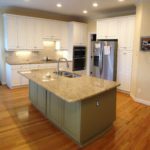 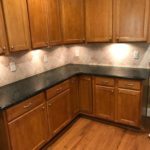 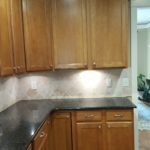 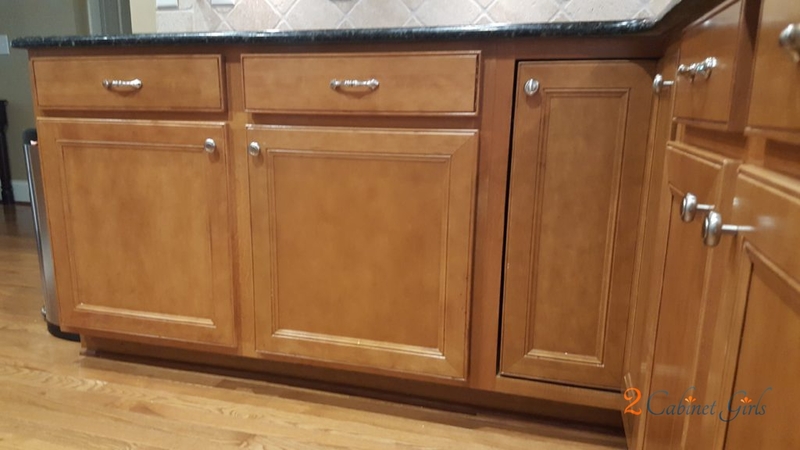 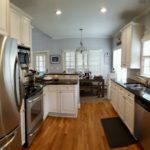 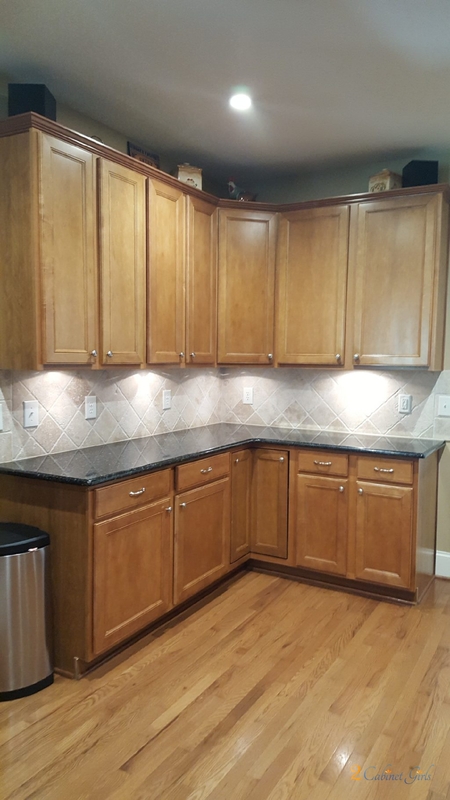 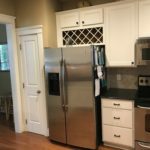 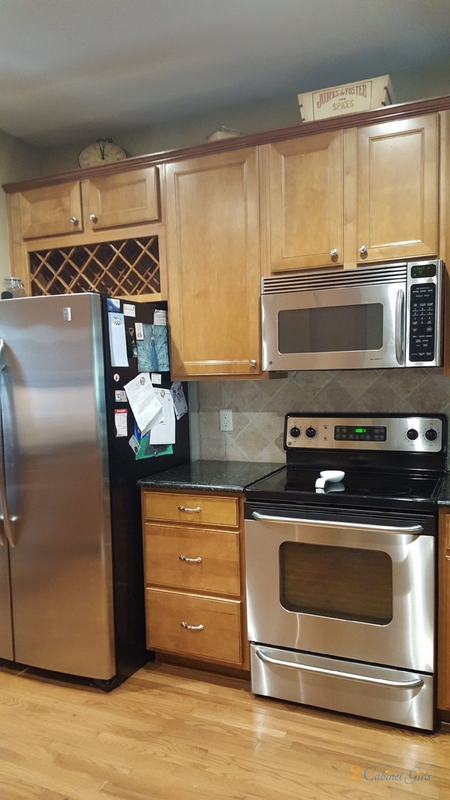 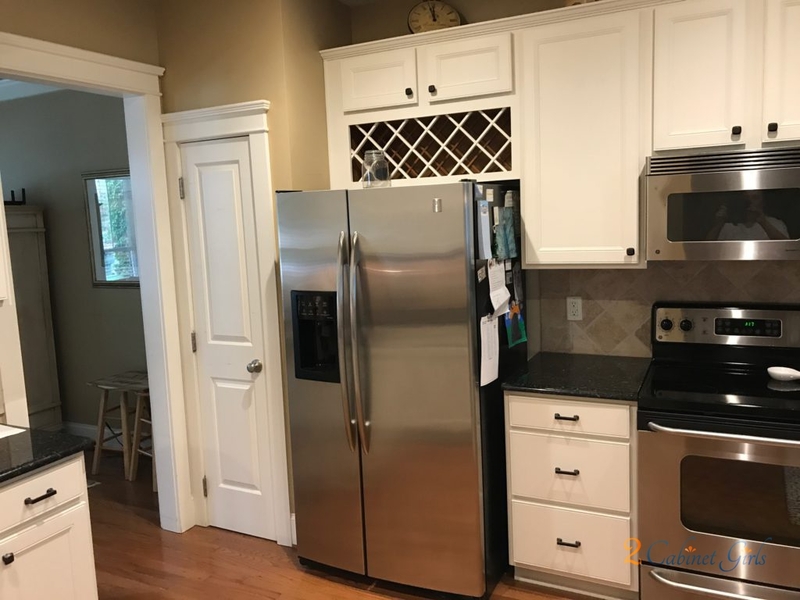 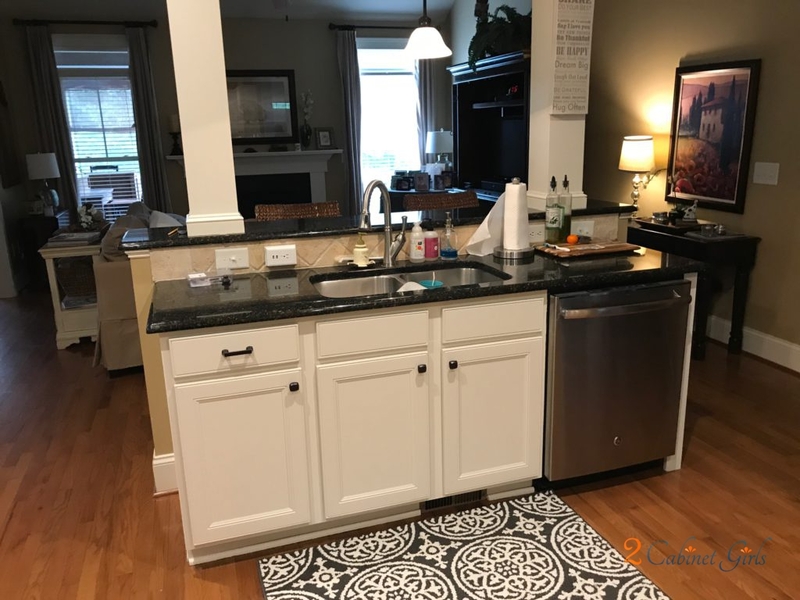 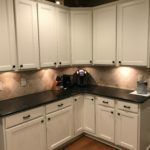 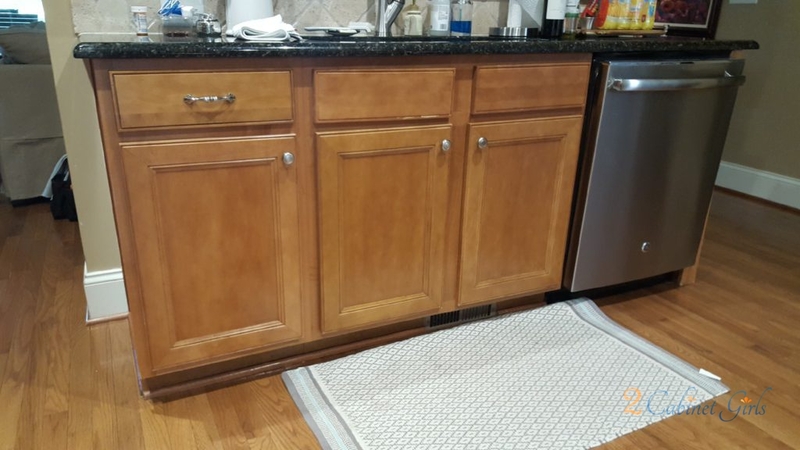 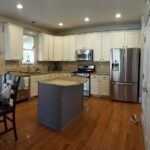 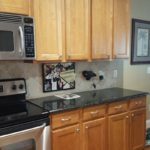 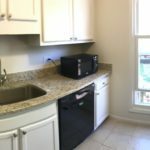 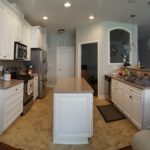 We used it on these cabinets and it helped to brighten them up without making them feel stark. 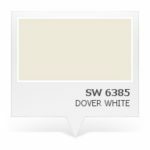 It has just the right hint of warmth, without any yellow undertones. 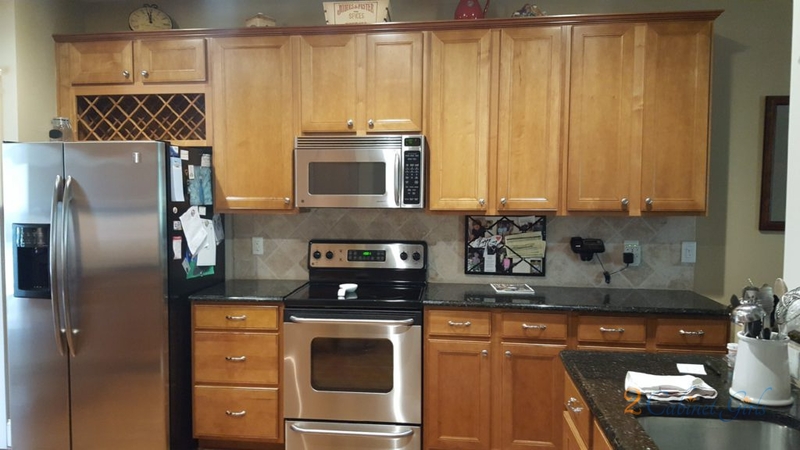 Now this gorgeous kitchen feels more cohesive with the rest of the home. 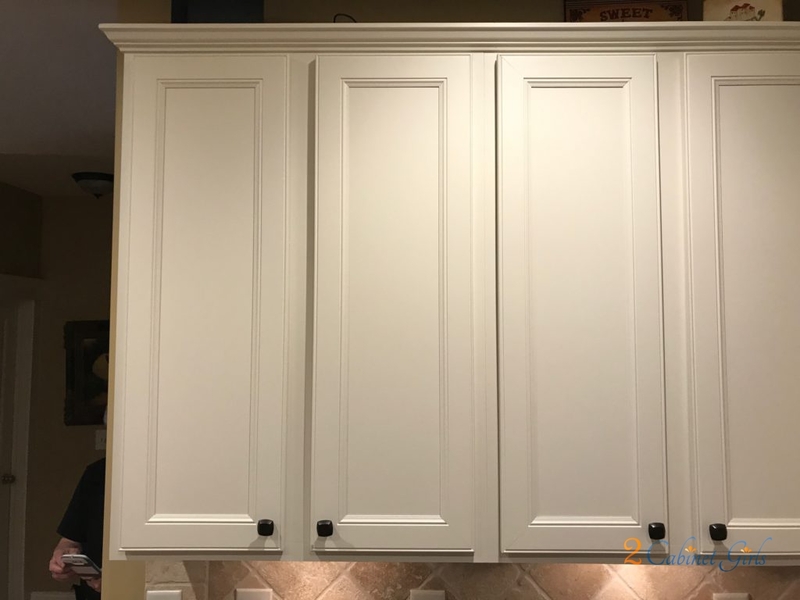 And the oil rubbed bronze knobs really pop!